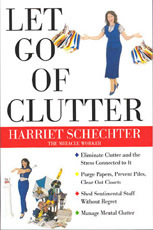 In Let Go of Clutter, organizing expert Harriet Schechter presents a fresh approach to overcoming the natural urge to accumulate objects and information. Dispensing equal doses of help, hope, and humor, she provides effective and realistic options for anyone who juggles too much stuff, too many decisions, and too little time. Learn more. 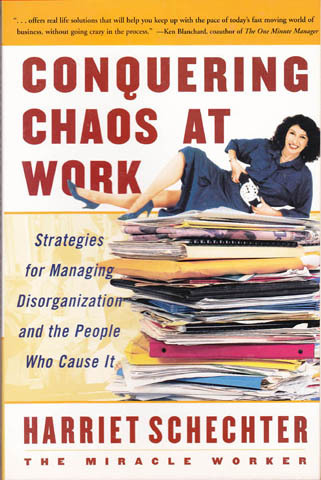 And she shows you how to handle the real Chaos Creators! Learn more. Find and buy all of Harriet’s books on Amazon.